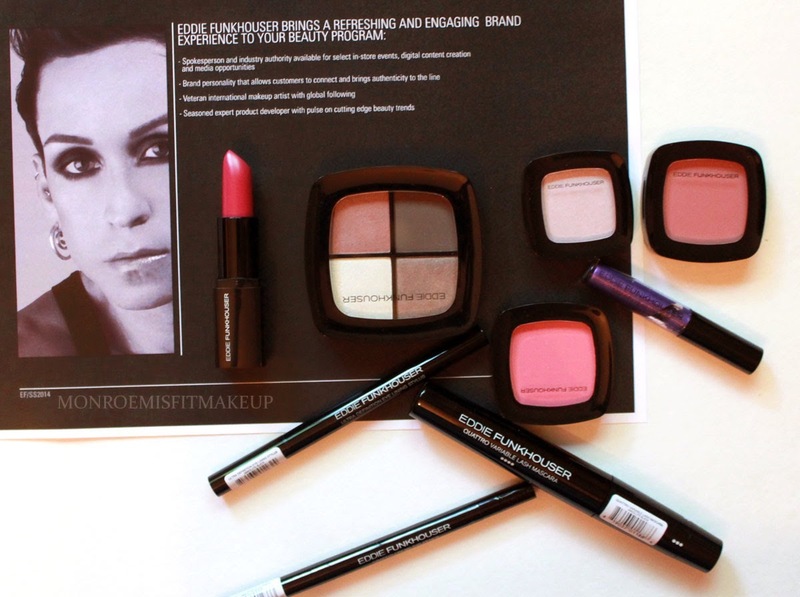 EDDIE FUNKHOUSER® is the latest in a diverse portfolio of game-changing beauty brands created by groundbreaking makeup artist, beauty spokesperson and expert product developer, Eddie Funkhouser. Eddie developed his eponymous cosmetic line in an effort to blur the conventional lines drawn between mass and prestige beauty products by offering up the industry’s finest-crafted formulas, edge-of-the-art shades and stunning effects and finishes – all at an unprecedented value for customers everywhere. 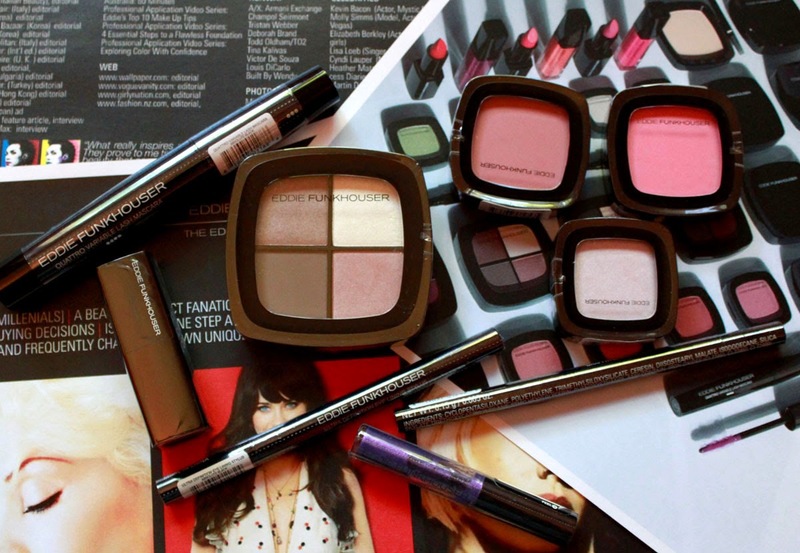 With its refined, minimalist packaging and world-class, studio-grade formulas, (created predominantly in Italy) EDDIE FUNKHOUSER has been widely-embraced by makeup artists and beauty aficionados seeking smart innovation, unique style and high-performance beauty products. HYPERREAL EYE COLOR PALETTES ($14.99) take the guesswork out of your color application with four expertly hand selected shades. Each palette can create a range of looks from natural to glamorous and classic to avant-garde. 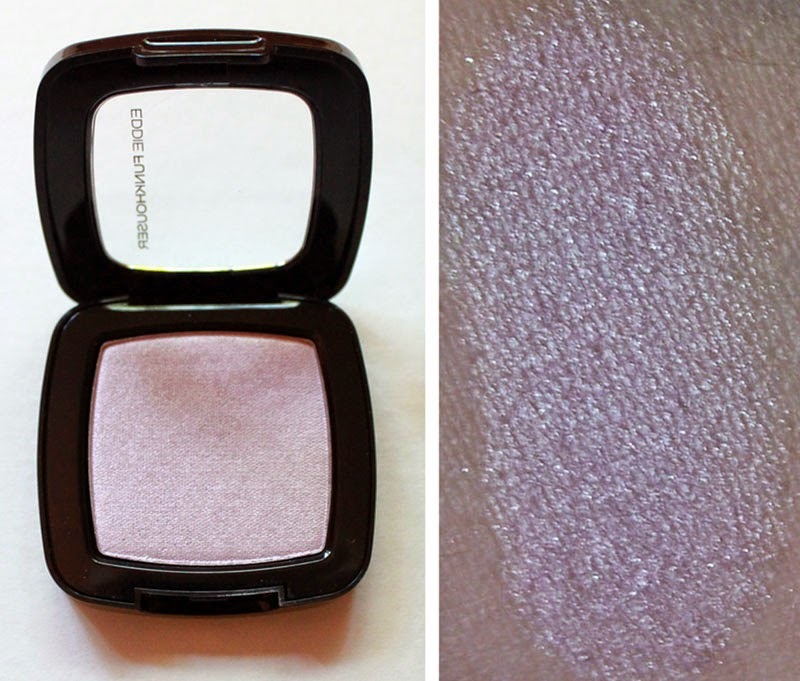 The shadow's in this quad feel like silk, they're so smooth to apply and have wonderful pigmentation. Long wear, no creasing or fading even with out a primer. 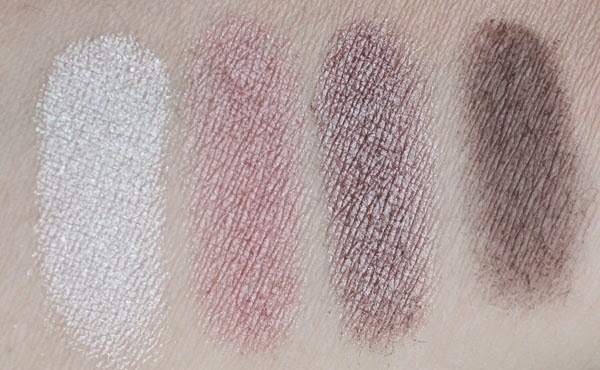 The "Bedroom Eyes" quad really enhances green eyes with it's cool rosy plum tones. Coy is frosty with some glittery fallout, but the other three have a gorgeous shimmer that isn't overpowering. That smoky taupe shade Demure, oh my gosh!, it is a cool toned girls answer to glamorous neutral eyes. With all my eyeshadow's I pull this out all the time just for that color. Pretty unbelievable it's only $14.99, I'd pay three times that for the quality of eyeshadow and colors you get in this quad. Beautiful! HYPERREAL EYE COLORS ($8.49)are vibrant shadows with ultra smooth blendability for silky application that lasts. Lavender Sky is a beautiful iridescent pastel lavender. Just like the Color Palette's the individual eyeshadow's have that same silky feeling and can be built up from sheer color to full intensity. This shade was hard to photograph because it was so light it almost blended right in to my skintone. With only the slight soft lavender pearl coming through that subtlety illuminates the eyes with a natural looking hint of color and flash of shine to highlight the lids. Emphasize your eyes with the Ultra Definition Eye Lining Stylus. ($10.99) With a tapered brush tip, this precision liner is designed for maximum control in creating effortless, clean lines every time. I'm glad I have three of these liquid liner's because I have used it every day since! I bought one at Urban Outfitters, then Eddie was featured in Wantable's Beauty Box, and now as a part of the Belle De Jour Collection. It's such a fantastic liner you will want multiple's of it. The pen stylus has a precise thin tip that lets you create the thinnest of lines something you aren't always able to achieve with a lot of pen style liquid liners. The consistency is perfect with no skips or dragging. 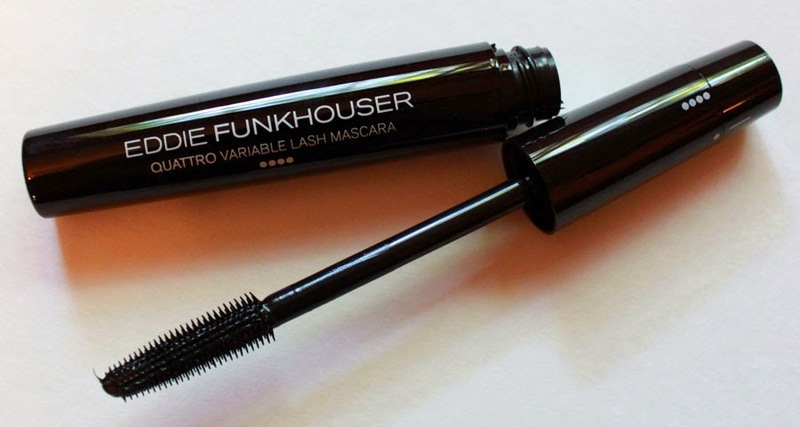 The fine tip is so flexible you can dot ever so gently between the lashes for light definition or turn it sideways to create thick cat eyes, best of both worlds! It stays put for me all day and removes easily. GRAFFITI CREME EYE PENCIL ($10.49) is all in one liner, sharpener and smudger! The automatic eye pencil twists up and glides on to line and define with ease. Graffiti Creme Eye Pencil in black applies with such ease, no tugging or pulling. It makes a great smoking out eyeliner and even has an included smudge brush on the ens. While being a creamy blendable liner it sets to a nearly budge proof finish. This is one of the best liner's I've used in terms of longevity and staying power. It does not fade one bit all day and locks itself right in place. Proof of that is I had this swatched on my arm for like 3 days! It's better than even the Anastasia waterproof pencils. GRAFFITI LIQUID LINER ($9.99) Add beautiful, hologram-inspired impact to eyes for an amazing accent of multidimensional, fashion-forward color. HAZE is a metallic luscious grape. Urban Decay made purple liquid liner like this that I loved, but it dried out so fast. 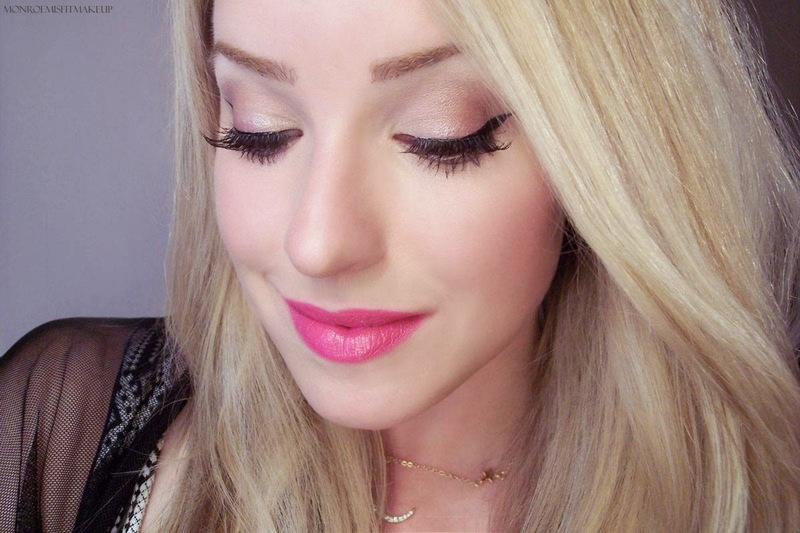 Graffiti liquid liner is just as pretty and half the price. Haze is a metallic purple with microshimmer. For being a colored liquid liner this can actually look quite subdued. With such a thin brush you can use it as an accent or double coat it for a full metallic purple liner. There's also a light green and baby blue in the graffiti liners that look soooo dang pretty. QUATTRO VARIABLE LASH MASCARA ($12.99) A revolutionary 4-level, must-have mascara for achieving stunning, full and natural looking lashes. The Brush on the Quattro Variable Lash Mascara is what makes this so unique, it's got four levels with a hard style brush. This mascara doesn't clump and has great separation. In terms of volume it provides more of a natural look. Only issue I had is that it did smudge when I wore it on hot and humid days. Luckily we won't have too many more of those soon! I didn't realize this until I was writing the review that you can actually twist this wand to 4 different setting to increase the volume. Blonde moment! Re-tried it and whole different story. Sooo much more volume just by clicking it up a few levels. Quattro Variable Lash is the mascara for every one and every look, those that want natural lashes or volume junkies like myself will love it. 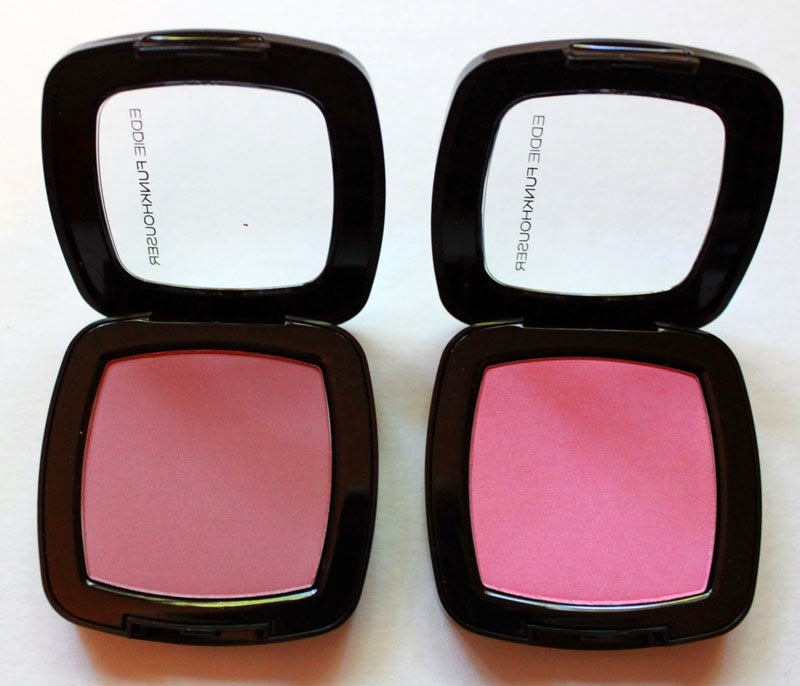 ULTRA INTENSITY CHEEK COLOR ($8.99)is a highly blendable, micromilled blush powder that gives cheeks a radiant flush. Available in four flattering hues. Eddie's blushes are competing against the eyeliner as my favorite product here. They apply semi-sheer, but can be built up. I'm actually preferring a lighter pigmented blush, by building you don't over do it. 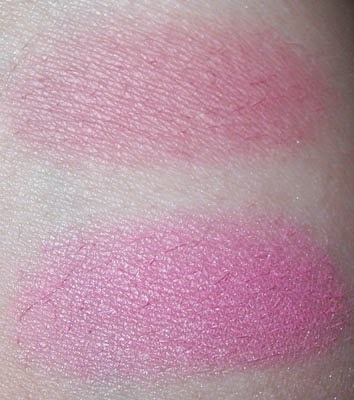 Peep Show is a bubblegum pink pearl, a sweet bright dolly pink blush with just a tiny bit of shimmer to it. I wore this blush throughout the Summer, its bright but light? cool but kind of warm?...we'll just call it the perfect blush :) Plum Crazy is a matte mauve, nice as a contour or color when doing looks where you don't want the color of your blush to compete with the eyes or lips. Chromographic Lip Color ($11.99) saturates lips with vibrant hues and light reflecting particles for a creamy finish and eye-catching multi-dimensional effects. Chromagraphic lipstick's have a light gel-textured feel that just glides on with application. Epic is a magenta rose that's on the medium end of bright. One coat to full coverage. The lipstick's do have a floral scent to them. I'm very sensitive to scent's so that may be something that most wouldn't even notice, beyond that they're a lovely formulated lipstick so light and full of color. 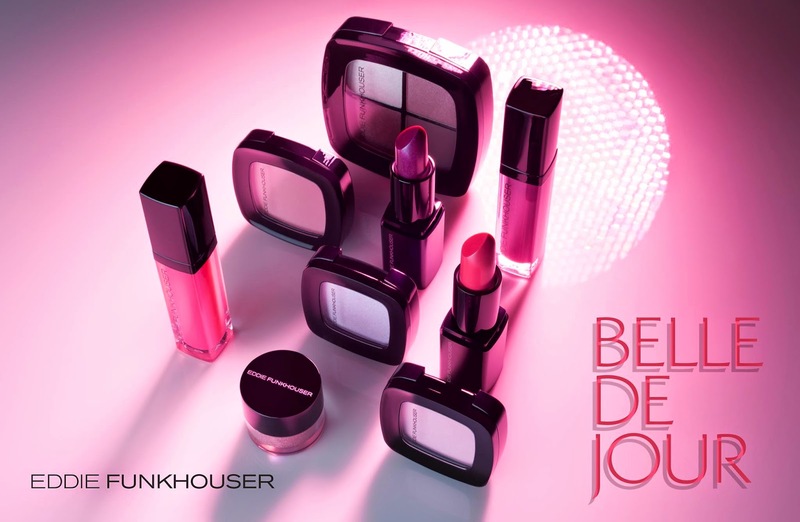 I really enjoyed every single product in the Belle De Jour Collection, you can feel this makeup was created by a Makeup Artist while also keeping the consumer in mind. Sleek, high end quality makeup with out the high price. I dig it!